Just 10 miles from St Andrews, this charming, single-storey holiday cottage is attached to another property on a tiny lane beside the church in picturesque Upper Largo, just minutes’ drive from the beach and golf course. 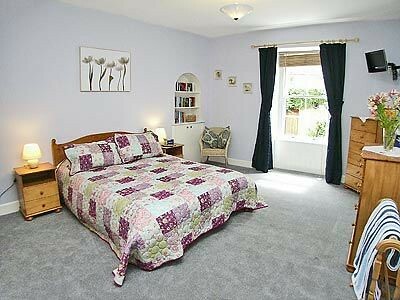 Thoughtfully furnished for comfort and ease, there are views of Largo Law from the small enclosed garden. An ideal base from which to explore the East Neuk of Fife with quaint fishing villages strung along the coast, or easy access to Edinburgh, Dundee or Perth and The Trossachs. Golf ½ mile, watersports at Elie, coastal walks, Sea Life Centre, Deer Park, and historic houses and gardens. Shop and pub 200 yards. Living/dining room with open fire. Well-equipped kitchen. 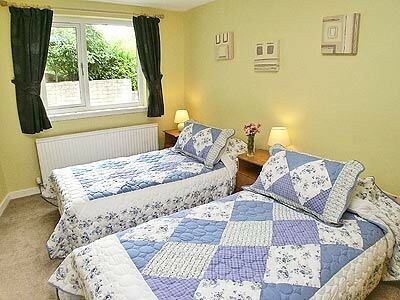 Double bedroom with 5ft bed and TV. Twin bedroom. Bathroom with over-bath shower and toilet. 1st comment: Kirkside Cottage was excellent with every possible comfort even a welcome gift of a bottle of wine, homemade jam, bottle of milk together with coffee, tea and sugar. Pretty hanging baskets and window boxes were also a lovely feature. The cottage was very cosy and the local shop/post office plus the local hotel were all within very easy walking distance. The hotel did a wide range of excellent reasonably priced food. Altogether the property and its access to local beauty spots and golf courses made it an excellent choice. Sept 2011. 2nd comment: Kirkside Cottage was a fantastic place to stay, with Edinburgh and St Andrews close by, and beautiful beaches and hills on your doorstep for walking. The cottage was immaculately clean and well apportioned, with the owners taking real care to cater for your every need - nothing was forgotten and extra treats such as home made jam, fresh flowers in every room etc were a bonus. I’d highly recommend this property to anyone visiting the Fife area. Aug 2011. 3rd comment: A fabulous holiday base for the East Neuk of Fife. 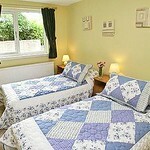 The standard of accommodation was excellent - the best we have come across - and the owners very friendly and helpful. 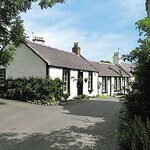 Kirkside Cottage is highly recommended! We will certainly book again. July 2011. 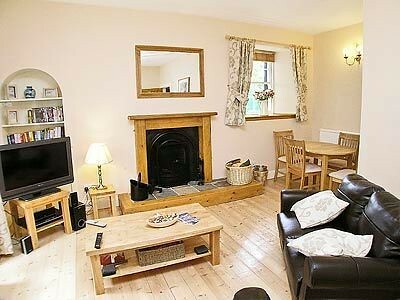 4th comment: The cottage could do with better sofas, small and uncomfortable. 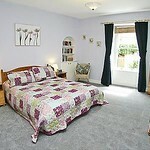 All other furnishings and bedding new and very comfy. But so spacious - belies the outside appearance. June 2011. 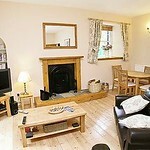 5th comment: Have booked the same cottage through you for another week in October. April 2011. 6th comment: We have stayed many cottages which were far more expensive, but they did not compare to Kirkside, every detail was carefully thought out. Oct 2010. 7th comment: The rooms were all a good size. The kitchen was very well equipped. We were delighted with the shed in which we stored our bikes. We appreciated the wine, home-made jam, tea, coffee and fresh milk and fresh flowers, which greatly enhanced our arrival. Sept 2010. 8th comment: It was a perfect cottage, everything you need and more, home from home. Sept 2010. 9th comment: 1st class throughout. Sept 2010. 10th comment: The cottage was large. It had every mod con you could ask for. It was situated in a lovely peaceful area the owners thoughtfully left milk and coffee fresh flowers wine and home made jam. It really was outstanding. Would highly recommend. Aug 2010. 11th Comment The property was clean and bright and well maintained. June 2010. 12th Comment Had every amenity available to be able to enjoy a relaxing holiday. May 2010. 13th Comment Lovely cottage in a quiet spot by the church. Only 15 mins walk to the beach at Lower Largo. 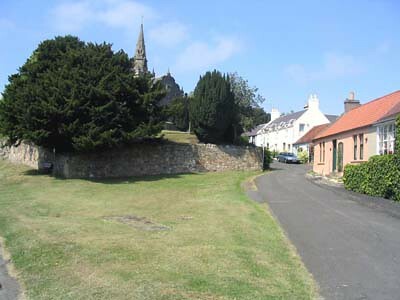 Good base for visiting the villages of East Neuk. Beautiful area. May 2010. 14th Comment Cottage 1st class as newly refurbished. Was really a home from home with everything one would need to hand. Owners had thought of all essentails and some treats too. April 2010. 15th Comment 1st Class cottage,very comfortable. 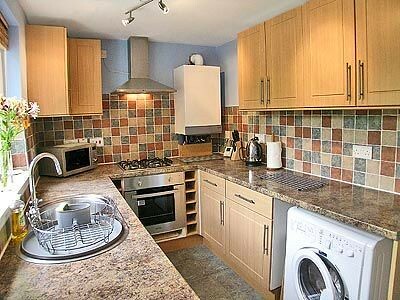 Kitchen very well furnished,the best yet. The owners extremely helpful. A good holiday. April 2010. 16th Comment Excellent refurbishment by the owners. Small on the outside, large rooms on the inside. Comfortable and cosy, with every possible facility you would require. 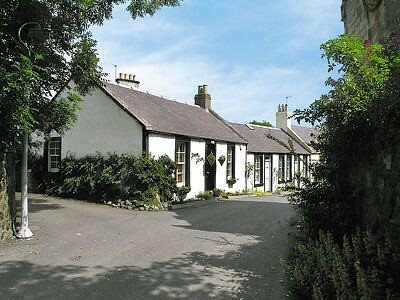 Would not hesitate to recommend the cottage to anyone. March 2010. 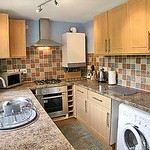 17th Comment Superbly refurbished property in a quiet location. The attention to detail was stunning. Feb 2010. 18th Comment Very comfortable, spotlessly clean and very well equipped. Dec 2009. 19th Comment This is one of the best cottages we have rented, all the best to Simon & Becca in this venture. Nov 2009.